The failings of the energy market made the headlines again today as the energy ombudsman revealed that the number of official complaints about the energy companies more than tripled in the past three months. The ombudsman received more than 10,638 complaints from customers from January to March, compared to only 3,277 during the same period in 2013. There were a total of 17,690 complaints in the whole of last year, and it now looks likely that 2014 will be the energy industry's worst year on record for customer satisfaction. 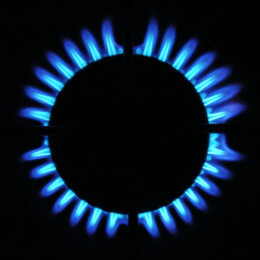 Chief energy ombudsman Lewis Shand Smith said that "problems relating to billing [are] the greatest concern" for consumers, which is unsurprising given that the average dual fuel energy bill has more than doubled since 2005. This price rise is especially galling considering that the domestic profits of the major energy suppliers more than quadrupled between 2009 and 2012. This disillusionment confirms our own survey of ThisIsTheBigDeal.com's members, which found incredibly poor customer ratings for every member of the Big Six. Npower was the worst-regarded supplier, with a rating of 2.34 - perhaps related to the fact that the company was forced to apologise to its customers at the end of last year as a prolonged database meltdown left many with incorrect bills. 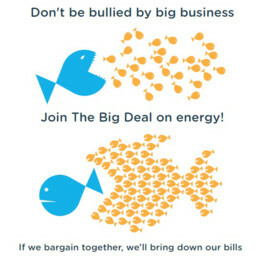 The response from the Big Six to today's figures has been weak, with industry body Energy UK saying "Our members put customer service at the heart of what they do … No one wants to see complaints rise, but companies use this information to improve the service they provide." If the energy suppliers have invested so much in customer service, how can they explain the massive rise in complaints? The problem is that in a market dominated by six huge companies, and after years of price rises, ordinary people feel powerless and disengaged. That's why, despite the prominence of traditional energy switching websites allowing people to compare energy prices, the numbers of people actually switching their energy supplier is approaching an all-time low. And that's where ThisIsTheBigDeal.com steps in. Thousands of people from across the country are battling corporate power by gathering together and joining the campaign. Signing up on our website is obligation free and takes less than sixty seconds. We will harness the people power of our members to beat the Big Six, assert our consumer power and get a better deal for everyone.